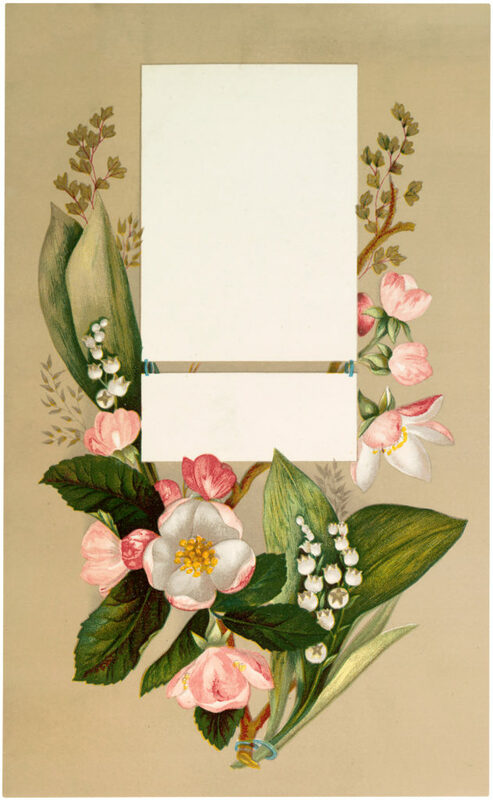 Beautiful Vintage Pink Floral Label Image! Today I’m sharing this Beautiful Vintage Pink Floral Label Image! This tall floral label has two areas for text. The openings for text are surrounded by a beautiful spray of tiny, pink and white flowers, lily of the valley, dark green leaves, and wisps of other leaves on a light tan background. It would make a beautiful Journal Cover or and Invitation to a Garden Party. Also nice to use in your Craft or Collage Projects! How beautiful is this Karen – I could imagine it being used as a card ‘inner’ with a not in the label ares. Beautiful, with such delicate colors. Thank you very much. This is quite unique! I love the idea that you can place your text into the areas. Thanks Irene, I know so fun right?